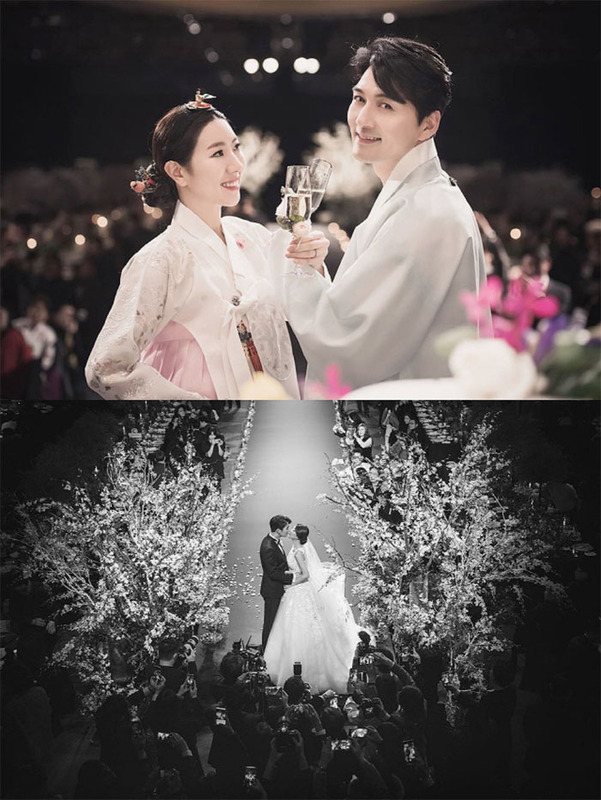 Actor Lee Pil-mo married interior designer Seo Soo-yeon at a hotel in Seoul on Saturday. Only family and close friends attended the wedding ceremony. The couple first met in September last year on a blind date arranged by TV Chosun's dating show "Taste of Love." They grew close soon after they started dating, and in December, Lee popped the question to Seo in front of the audience at a musical he was appearing in. Dating shows remain one of the most popular formats on TV in Korea, but Lee and Seo became the only couple to have married after meeting on one.